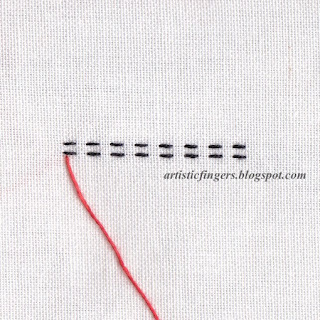 Step 1 – Work two rows of aligned running stitches as shown. 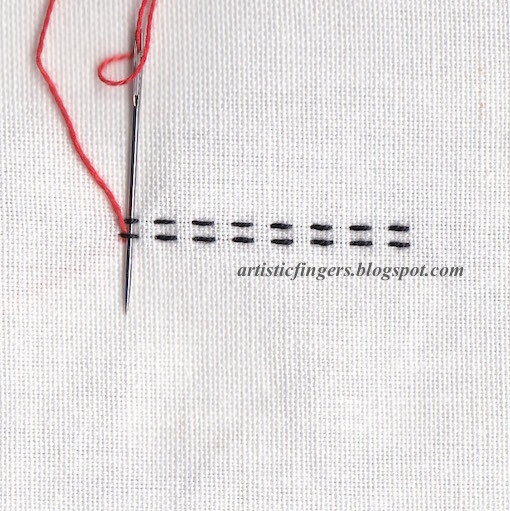 Step 2 – Bring the needle and thread up close to the first stitch of the bottom row. 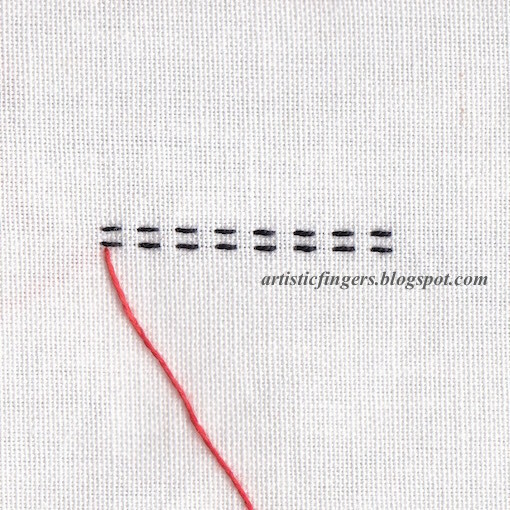 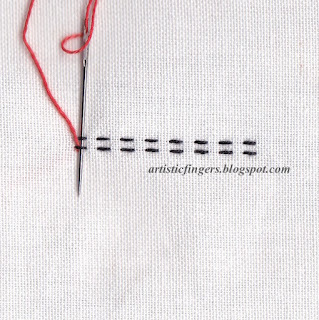 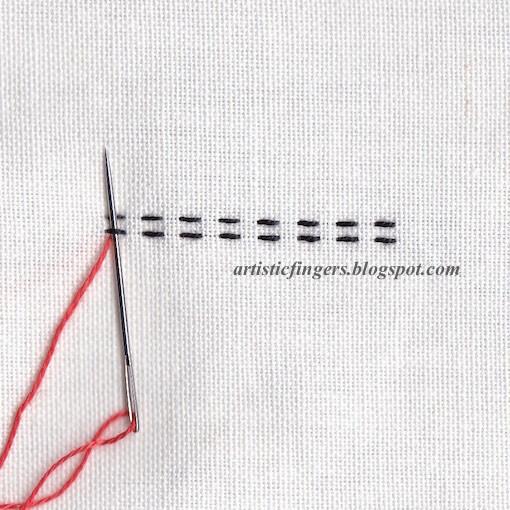 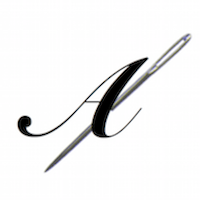 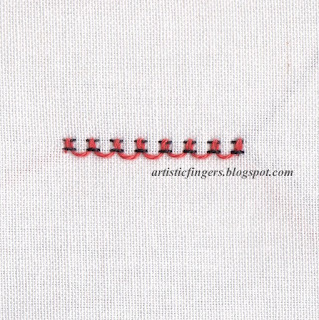 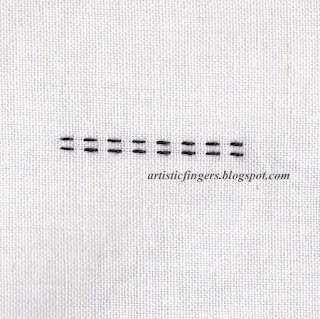 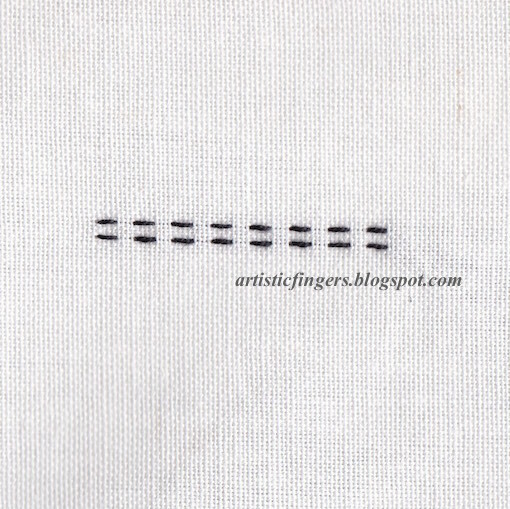 Step 3 – Pass the needle under the first running stitch as shown. 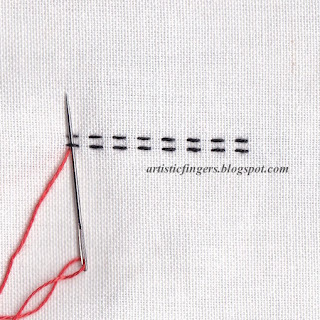 Step 5 – Repeat steps 3 and 4 until end. 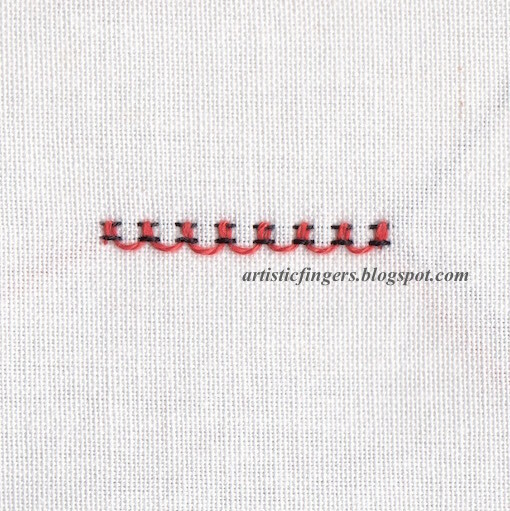 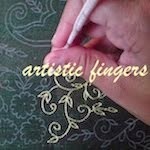 Surface embroidery (Kashmiri style) workshop in Bengaluru on 11th of July.